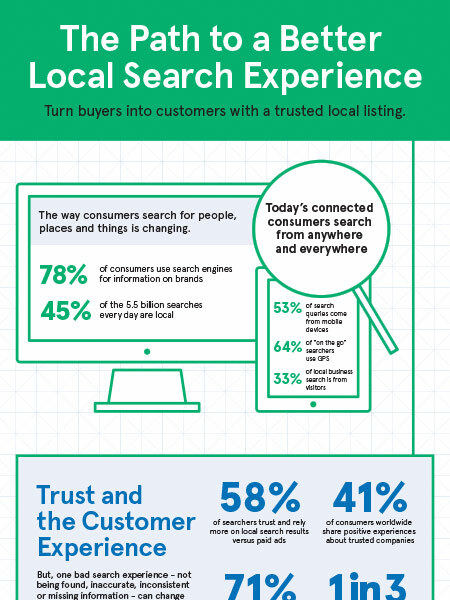 Neustar Localeze provides an easy way to have your trusted business listing everywhere. From more than 400,000 SMBs and 350 of the largest brands in the world, we process 900 million bits of data and 60 million business identities to geo-code, confidence score, verify and validate 16 million optimized business listings that are published to over 95 platforms and 200 search sites, maps and apps. We’re the experts in connecting people, places and things.